Sardinia, a pearl set in the centre of the Mediterranean is an island waiting to be discovered. It is an ancient land, like the traditions that still characterize the strong identity of its people who are hospitable by nature. Known mainly for its crystal clear sea, Sardinia is surrounded by water that has a thousand shades of blue and which bathes the island’s most beautiful beaches and the enchanting coves sheltered between granite cliffs. A heaven on earth immersed in Mediterranean vegetation which especially in summer is heavily scented with helichrysum and myrtle and coloured with the intense tones of the sunset. 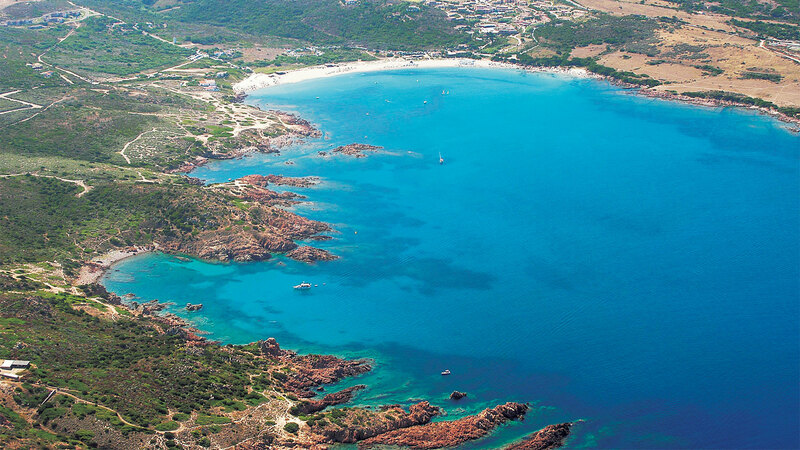 The Gallura region extends from the renowned white sandy beaches of the Costa Smeralda to the North, leaving behind the Capo d’Orso promontory to overlook the islands of the La Maddalena Archipelago. The fragmented coastline, sculpted by the sea and the wind, continues to Santa Teresa Gallura at the northern extremity of Sardinia, close to Bonifacio and the high sea cliffs of Corsica, and follows around to the West, slowly acquiring a reddish hue as it moves toward the granite of Costa Paradiso and Isola Rossa to the vast white beach of Badesi on the Asinara Gulf. The inland areas of Gallura seems rather harsh, with small villages perched among the mountains as if they wanted to protect traditions and knowledge from times past. These are landscapes characterized by holm-oak cork and thousand year old olive trees where Gallura shepherd’s huts can still be seen and where the remains of the ancient Nuraghic civilization are hidden. The renowned Costa Smeralda is certainly the most famous part of northern Sardinia with its white sandy beaches (easily as beautiful as those of the Caribbean) hidden between the hills of Cugnana and Porto Rotondo and the little bays of Porto Cervo, a favourite destination for VIPs and the international jet set. No less fascinating is the stretch of coastline which goes from Palau and Santa Teresa Gallura to the Costa Rossa and as far as Badesi, which features wild and uncontaminated inlets and beaches illuminated by breathtaking sunsets. 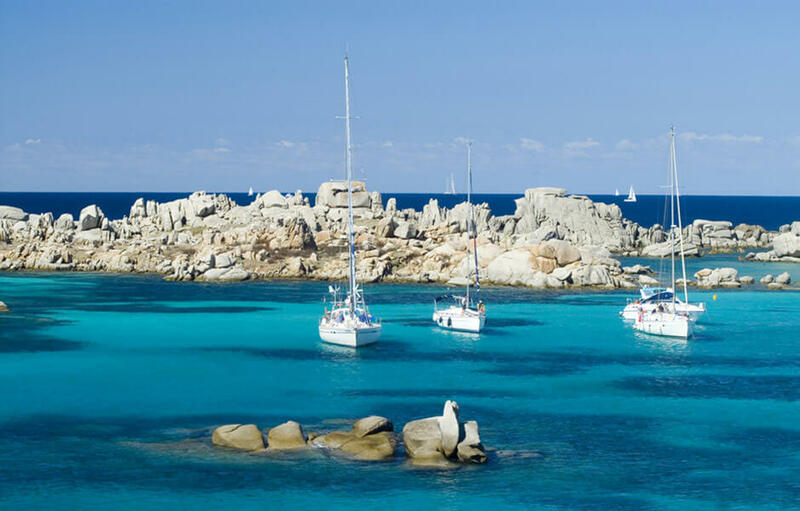 Spending holidays in Sardinia means discovering the most fabulous jewels of Gallura and the La Maddalena Archipelago: islands like Budelli, Santa Maria and Razzoli are environmentally significant and offer visitors an unforgettable panorama as well as incredibly transparent crystal clear seas. Naturally formed pools are home to some of the Mediterranean’s rarest and most diverse marine ecosystems and provide not just another tick for tourists but an authentic travel experience. The scents and benefits that the sea has brought to the island’s life for thousands of years inspired Delphina’s hotels and resorts in Palau, Santa Teresa Gallura, Isola Rossa and Badesi, all of which boast Thalassotherapy centers that are famous throughout Sardinia and beyond. The helichrysum, a symbol of Sardinia, can be found all over the island along with many other fragrant and colourful plants that are typical of the Mediterranean macchia or scrub. Myrtle, rosemary, juniper, arbutus (or strawberry tree) and heather are just some of the plants that grow on Sardinia. 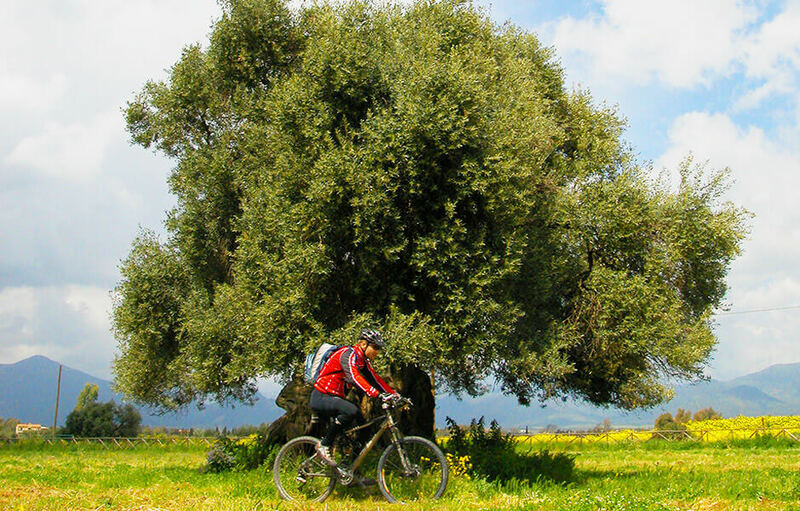 The further inland you go, the thicker the vegetation gets with cork trees and oak forests interrupted only by rows of renowned Gallura vines. Cork and wine are the pride of the Gallura economy, excellent products that still today represent the image of the North of Sardinia to the rest of the world. Respect for nature is part of the Delphina mission which pays particular attention to native Sardinian species that can be found within the group’s hotels and resorts through the creation of special green areas where local flora is left to grow spontaneously. Gallura boasts an authentic culinary tradition that in some cases features different recipes from the rest of the island while in others it shares typical dishes from Sardinia’s gastronomic past. There are simple ingredients at the heart of Gallura cuisine such as cheese, the basic ingredient in suppa cuata (Gallurese soup) and li pulilgioni (sweet ravioli with ricotta), but also pastries such as casjiadini (the famous formagelle) and honey, an essential ingredient for gli acciuleddi e meli (fried pastry coated in honey) and li cucciuleddi e meli. In addition there are tasty meat dishes such as roast suckling pig, rivea (large skewers of lamb offal) and la carri e cojjiu (roast bacon). The food and drink on offer in the restaurants at the Delphina hotels and resorts in North Sardinia not only includes Sardinian and Gallura gastronomic traditions but is particularly attentive to the genuineness of the products, the true secret ingredient of the island’s delicious cuisine. A painstaking search for seasonal 0km products allows chefs to prepare exquisite top-of-the-range dishes every day. In addition the Resort Valle dell’Erica Thalasso & SPA also boasts a typical Gallura restaurant with the name of Li Ciusoni where native Sardinian cooks hand-make fresh pasta as guests watch. Sardinia and Gallura in particular boast an ancient craft culture ranging from woodworking to weaving, jewellery and ceramics. Solid wood chests, tables and sideboards carved with elegant designs call to mind this widespread tradition that lives on especially in the heart of the island; colourful yarns are used to create the famous Aggius rugs still made by skilled weavers today using the time-honoured horizontal frames. In small workshops hidden in the narrow streets of ancient villages, goldsmiths produce modern version of traditional filigree gems while young artists model colourful ceramics with unusual and innovative shapes. This tradition with its unique style still inspires modern design and can be seen in Delphina hotels, particularly at the Resort Valle del Erica Thalasso & SPA and the Hotel Marinedda Thalasso & SPA. The architecture and furnishing of the rooms at the Santa Teresa Gallura Resort and the 5 star Hotel at Isola Rossa have a fresh modern style expressed through woods, fabrics and ceramics created by the best local artisans. The history of Sardinia is as ancient as the land itself. The characteristic stone villages in the inland areas and the oldest of the seaside towns still safeguard the last remains left behind by the passing of different people and cultures. 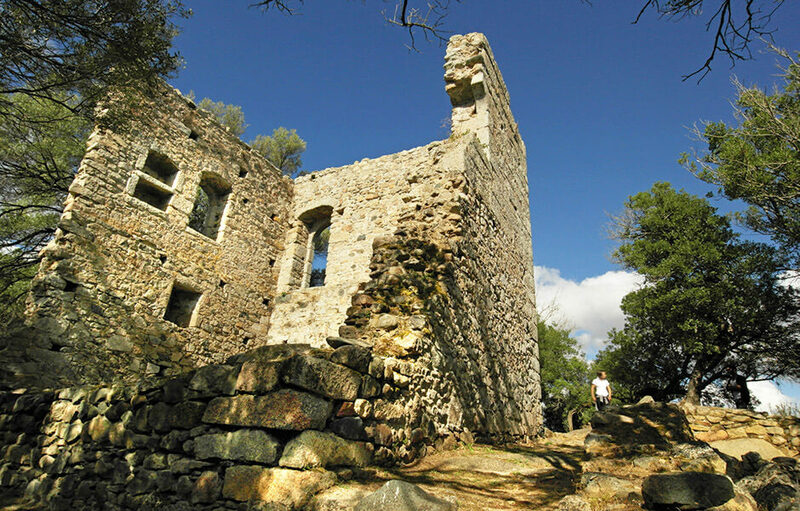 The holm-oak woods that cover the countryside around Tempio Pausania lead to the Nuraghe Majori, a mixed-type construction built on two levels, while the Arzachena countryside is home to La Prijona, one of the largest nuraghic settlements found in Gallura. Close to the sea, the Lu Brandali Giant’s Tomb at Santa Teresa Gallura is well worth a visit as it is very impressive and immersed in vegetation while you frequently find yourself travelling along Roman roads that pass by 12th century castles like those of the Doria in Castelsardo. This history is characterized by archaic customs and cultural influences from far away that still distinguish the island’s manifold identities, all different and varying from mountain to sea, from North to South. This is a region to discover and to fully experience that, Delphina Hotels and Resorts located along the whole North coast of Sardinia want to help you discover this region with a wide range of excursions by land and sea, from boat trips to Corsica to sea safaris around the La Maddalena Archipelago, from Ethno-tours through ancient Gallura villages to wine tastings in some of Italy’s most famous wineries. Gallura is the perfect destination for seaside holidays where you can discover hidden places to visit in Sardinia without missing out on the nightlife of the lively tourist towns of Palau, Cannigione and Porto Cervo, days on the beaches of the Costa Smeralda and the Costa Rossa and all the exclusive services on offer from Delphina’s beachfront Hotels.